This is an excellent authentic spike tomahawk from the Iroquois Native American Indians of New York State. The tomahawk war club dates to circa 1810-1830’s and was forged by documented blacksmith James McTear. James McTear was a prominent blacksmith in New York state who also worked with his two sons during the 18th to 19th Century. The tomahawk features a forged iron head with unique Eagle hammer poll spike on the rear. The axe blade shows an artful etched accent on both sides. 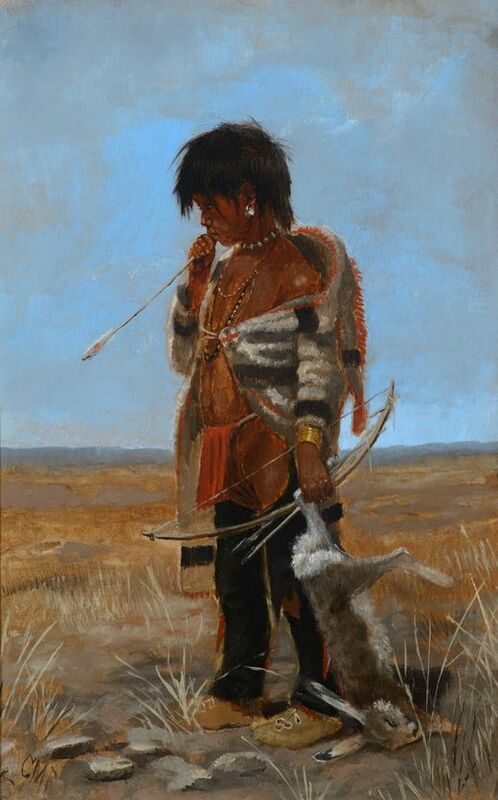 Another James McTear piece was featured in the Peterson tomahawk book at figure number 304, a wonderful documentation of his exceptional work. Only three McTear examples are known to exist still today, the example shown in Peterson’s book which is on display at the Henry Ford Musuem in Dearborn, Michigan, another which is in the personal collection of Bill Guthman, and this example. The piece shows a solid wood haft with a stepped carved gripping area and unique smoking tip. The haft has a good rich patina with worn shinny finish accented by an iron pounded wrap at the smoking tip. The blade / axe head has a mellow dark paint that is consistent with age. The piece shows a total length of 19” with the head being 7.5”L x 2.5” across the blade.